One goal of our SDK is to scale services added to the platform. Along with Favorites, we’ve had two services added since the SDK has become available. Smarterer provides a free way to let anyone, anywhere, prove any skill. Answer questions, get your score. 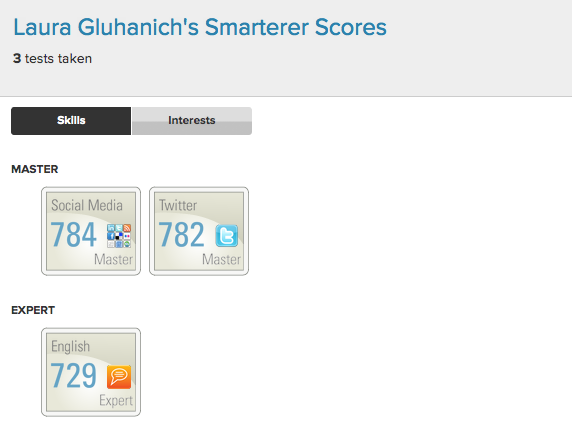 Connect Smarterer with your About.me page to show what you know. Forkly is a beautiful way to discover and share dining tastes. It’ll show you a new dish around the corner, the best burger in town, or your favorite cocktail in a new city. Download the mobile app, then add it to your about.me page! Can anyone create a service and add it to about.me using your SDK? Or, is there some sort of approval process? Hi Dan – great question! For SDK development, we request you start out by submitting the metadata mentioned at http://about.me/developer/sdk/docs/#gettingstarted. From there, we’ll work closely with you to ensure any question are answered and the app is within the style guidelines. Once it’s ready to go, we’ll push it live to the platform and promote it to the about.me userbase.